Hey Harry, good to hear from you. I will break down your question in steps and would like to answer it in parts. So to start with Whitening. There are two things, whitening and brightening. Whitening products, I don’t recommend and use. The reason, most of them are loaded with chemicals and they give temporary whitening effect. The moment you stop using them, you see the whole game changed Who wants that? So Whitening is a no no according to me. Then what else? My answer is – Brightening. Brightening through a healthy, glowing skin. Here I can help. Use Facial Scrub and Face Mask Once in a Week. Invest in Good Sun Screen Lotion. Wear Sun Screen Lotion everyday, whether you go out in the sun or not. Which Brands I like the Most for Skincare Products? When it is Skincare, I like Kama Ayurveda, The Body Shop, Forest Essentials, Just Herbs, The Nature’s Co, Lotus Herbals, Oranic Harvest, Oriflame, Bottega di lungavita etc. 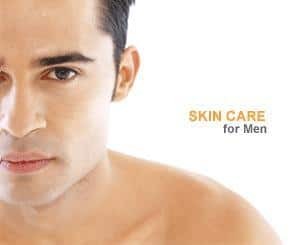 Some of them have saperate skincare range for men, you can check it out. So finally, what you need to do?